Home>News>APT Institute in collaboration with Hong Kong MTR Corporation and JC Decaux present the first ever new media exhibition in displayed in Hong Kong MTR Stations. APT Institute in collaboration with Hong Kong MTR Corporation and JC Decaux present the first ever new media exhibition in displayed in Hong Kong MTR Stations. 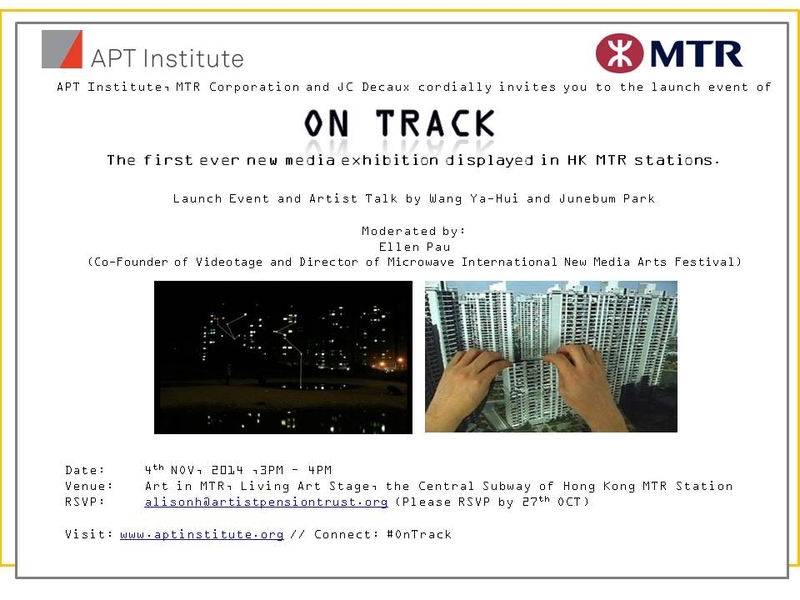 APT Institute, the non-profit arm of the Artist Pension Trust (The World’s largest curated collection of contemporary art),is very pleased to present in collaboration with MTR Corporation and JC Decaux - On Track, the first ever new media exhibition displayed in Hong Kong’s MTR stations as part of MTR’s “Living Art” initiative. On view from 4th November, 2014 for four weeks, On Track is a group exhibition featuring two new media artworks from the APT Collection and by member-artists of Artist Pension Trust (APT) Wang Yahui (Taiwan) and Junebum Park (Korea). A collective exploration of the romanticism of urban experiences, the exhibition is designed to surprise MTR passengers with artworks exhibiting in 10 second excerpts on JC Decaux’s Digital Panel Network across 10 MTR station at varying times. Wang Yahui’s Two Billion Light Years of Solitude shows images urbanites are familiar with. 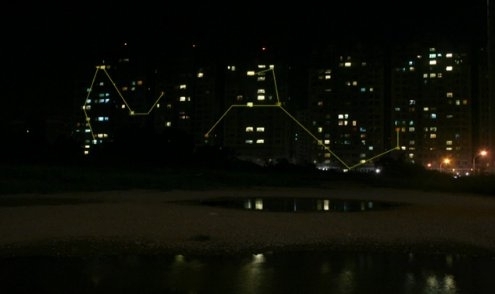 At night, every light spot shining from the rooms of apartment buildings resembles the sparkles from the stars. Every light in the building has its own story, just like the legends behind every constellation in the sky. 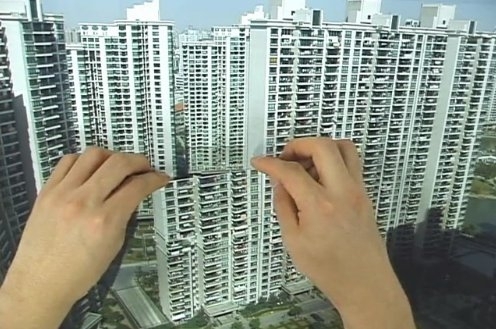 Junebum Park’s Making an Apartment follows the imagination of apartment buildings and their creation and multiplication as an essential sight in every city. However, urbanization is always more obvious in retrospect, as suggested by the artist. The opening ceremony of the exhibition will take place on 4th November, 2014 at 3PM in the Art in MTR – Living Art Stage within the Central Subway of MTR Hong Kong Station. The ceremony will see officiating guests, Mr. Hamilton Tang (Board Member – APT Global) and Mr. Andrew Mead (Chief Architect – MTR) commencing the event. Participating Artist Pension Trust member - artists Ms. Wang Yahui (Taiwan) and Mr. Junebum Park (Korea) will be giving an artist talk moderated by Ms. Ellen Pau (Co – founder of Videotage and Director of Microwave New Media Art Festival) on the inspiration behind their works.